Newly listed watch, additional images will be added soon. 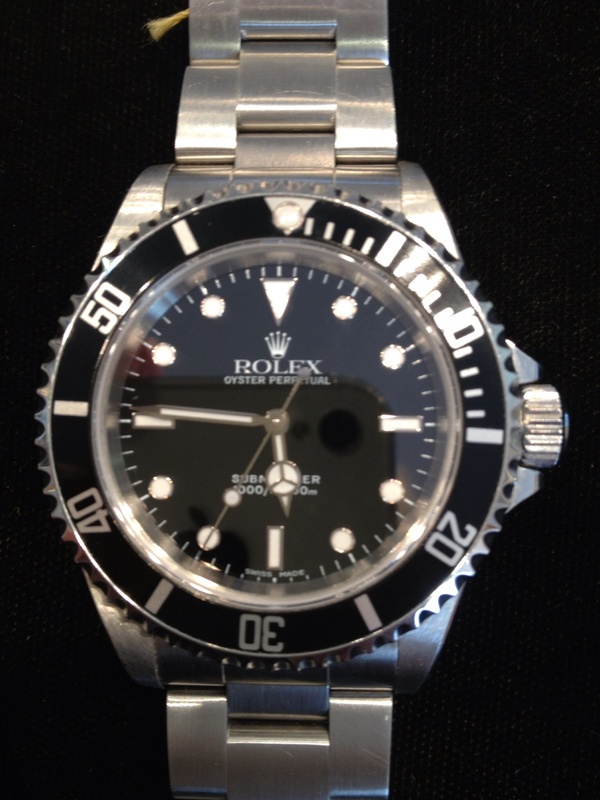 Steel Rolex Oyster Perpetual Submariner Non date , Model No 14060M. 40 mm case diameter, water proof to 300m. Automatic chronometer movement with black dial and black uni directional bezel , on a steel oyster lock bracelet. Box and papers dated October 2001 serviced by Rolex Sept 2008.